Jason King, (26), of Fenny Royd, Halifax, three penalty points, £220 fine, £85 costs and £30 victim surcharge for speeding. Dale Mackerill, (33), of Coronation Street, Elland, six penalty points, £660 fine, £85 costs and £66 victim surcharge for failing to give information to the police relating to the identification of a driver. Daniel Sullivan, (23), of Matlock Street, Lee Mount, six penalty points, £660 fine, £85 costs and £66 victim surcharge for failing to give information to the police relating to the identification of a driver. Ben Walker, (27), of Sion Hill, Siddal, eight penalty points, £660 fine, £85 costs and £66 victim surcharge for driving without insurance. 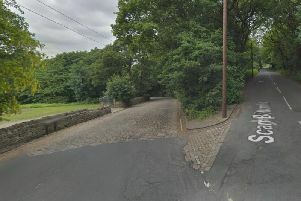 Joseph Dresler, (44), of Whinney Hill Park, Brighouse, community order, £85 costs and £85 victim surcharge for writing a letter and posting it through the letterbox they were prohibited from doing by a restraining order. Alex Logan, (30), of Sandholme Crescent, Halifax, £450 fine, £85 costs and £45 victim surcharge for deleting the contents of their computer hard drive with they were prohibited from doing so. Matthew Senior, (20), of Fairfield, Hebden Bridge, disqualified from driving for 42 days, £207 fine, £85 costs and £30 victim surcharge for speeding. Luke Briggs, (30), of Waltroyd, Wheatley, eight penalty points, £200 fine, £85 costs and £30 victim surcharge for driving without insurance and without an MOT. Zaki Ul Hasan, (19), of six penalty points, £80 fine, £85 costs and £30 victim surcharge for speeding. Nagyne Varga Ibolya, (52), of Devon Street, Halifax, four penalty points, £440 fine, £85 costs and £44 victim surcharge for speeding. Christopher Jagger, (32), of Savile Park Street, Halifax, six penalty points, £660 fine, £85 costs and £66 victim surcharge for failing to give information to the police relating to the identification of a driver. Mary Stokes, (29), of Yarn Close, Halifax, six penalty points, £660 fine, £85 costs and £66 victim surcharge for failing to give information to the police relating to the identification of a driver. Vadim Baines-Jones, (36), of School Lane, Illingworth, six penalty points, £300 fine, £85 costs and £30 victim surcharge for driving without insurance. Gary Fielden, (46), of Glaisdale Grove, Hipperholme, six penalty points, £440 fine, £85 costs and £44 victim surcharge for speeding. Carl Fisher, (25), of Rushworth Street, Lee Mount, six penalty points, £660 fine, £85 costs and £66 victim surcharge for failing to give information to the police relating to the identification of a driver.